Sir Alan Howard Cottrell, FRS (born 17 July 1919) is a British metallurgist and physicist. He received his BSc degree from the University of Birmingham in 1939 and a PhD for research on welding in 1942. 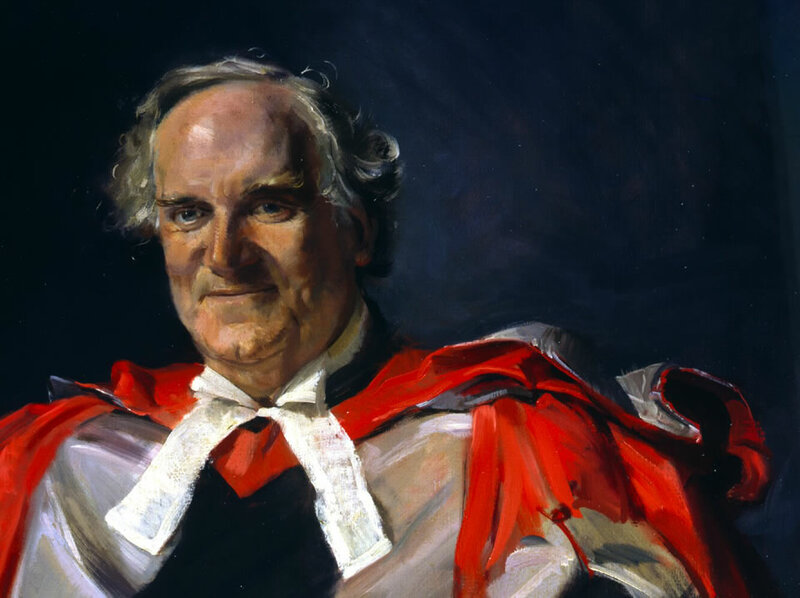 He joined the staff as a lecturer at Birmingham, being made professor in 1949, and transforming the teaching of the department by emphasizing modern concepts of solid state physics.In 1955 he moved to A.E.R.E. Harwell, to become Deputy Head of Metallurgy under Monty Finniston. From 1958 to 1965 he was Goldsmiths’ Professor of Metallurgy at Cambridge University, and a fellow of Christ’s College. 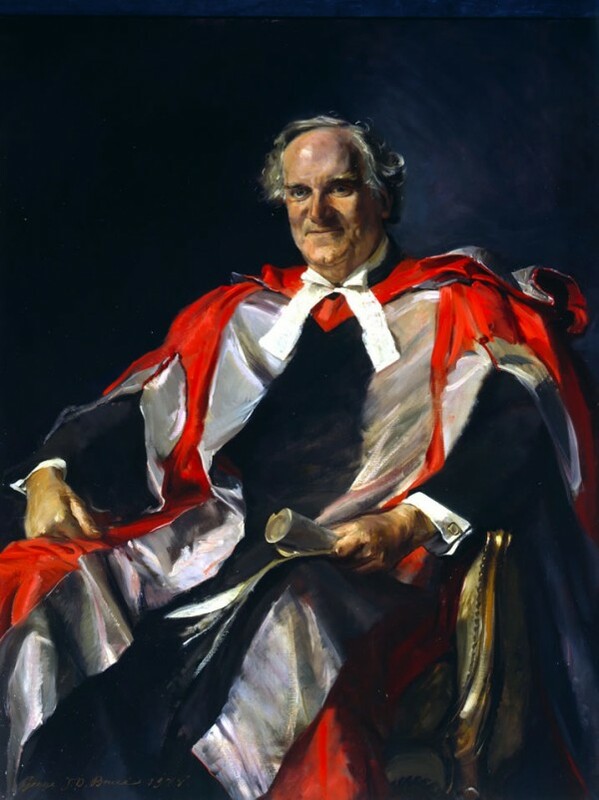 He then worked for the government in various capacities, ultimately as Chief Scientific Adviser from 1971 to 1974, before becoming Master of Jesus College, Cambridge from 1973 to 1986, and Vice-Chancellor of the University in 1977-1979. This work was completed in 1978 and is filed under Oils, Portraits, RSPP, vertical and tagged with Peer, portrait.